A/Prof. 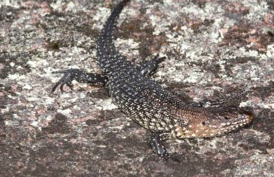 Martin Whiting from Macquarie University in Sydney, Australia is looking for two enthusiastic PhD students to work on two very interesting lizard projects. This is a great opportunity to do a PhD in the awesome Sydney Lizard Lab embedded in the vibrant environment of Macquarie University and its Department of Biological Sciences. “Uncovering the evolution of intelligence is one of science’s greatest challenges. Social intelligence theory suggests that sociality selects for increasingly sophisticated cognition, but …..” (read more). This entry was posted in Behaviour, Ecology, Evolution, Social behaviour and tagged Macquarie, PhD. Bookmark the permalink.